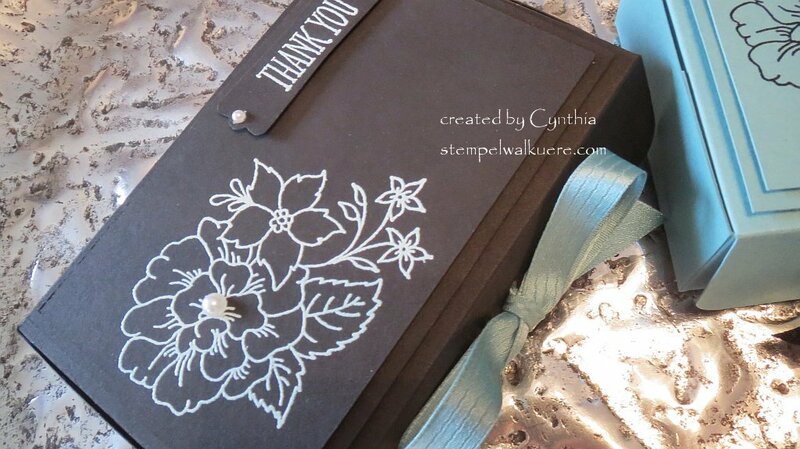 Stampin‘ Up – Hostess Stamp-Set „I like you“ ! 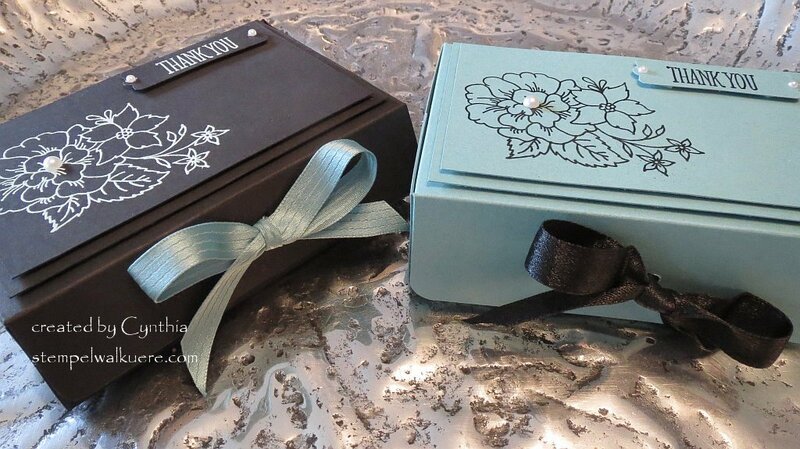 Here are two boxes „Pizza Box“ style with an elegant twist! I was inspired by SU Demo Sam Donald in the UK. 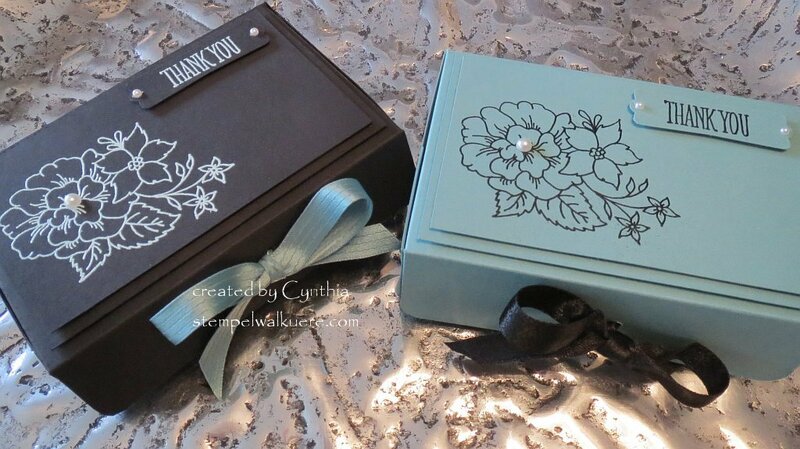 I used a different stamp set and added a different front closure than Sam but basically it is the same box. It was the design that really caught my eye. She does beautiful work. 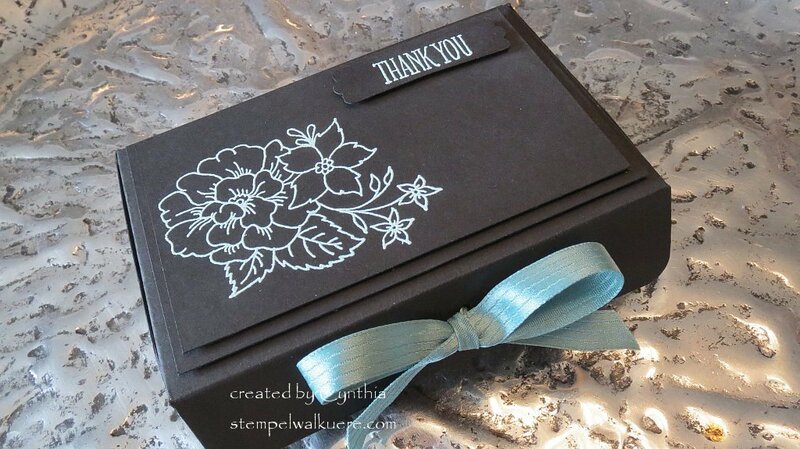 I love that she only used one color cardstock. I got a little nervous about leaving it so plain…so I put a few pearls on it. I am still deciding if I should have just left it alone. Decisions, decisions! I rounded the corners of the flaps on the sides and front and tucked the side flaps in so that they would have a nice finish when you open the box. I left the front flap out and punched 2 holes through to the inside of the box, threading a ribbon back though the lid flap, tying a bow to keep it closed. You just have to untie the bow to pull open the box. I took the pearls off again…I think I like it better without… What do you think??? With or without? I have to get some ZZZZZZZZZ’s !!! Dieser Eintrag wurde veröffentlicht in Hostess Set- I like you, Verpackung Geldgeschenk-Gutschein von stempelwalkuere. Permanentlink.